As the leader of the world’s most feared and brutal terrorist organisation, Abu Bakr al-Baghdadi emerged from hiding hoping to strike fear into his opponents. 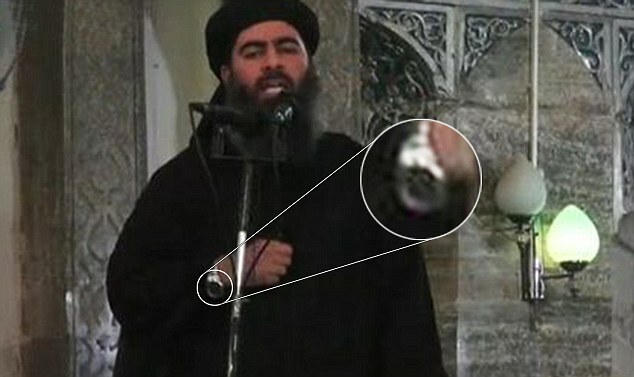 But the elusive head of the Al-Qaeda aligned Islamic State group found himself the subject of mockery after delivering his sermon wearing a bulky designer watch. 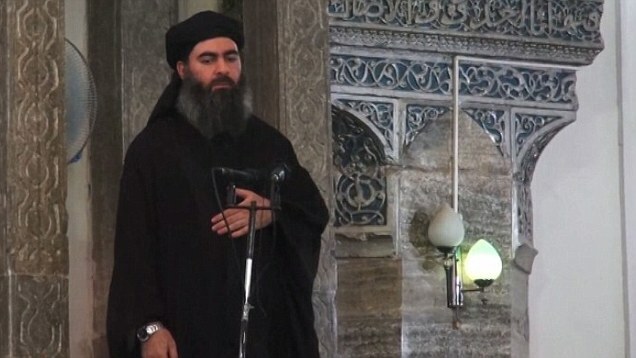 Dressed in black robes and turban, Baghdadi’s appearance was the first since he declared himself the caliph, or leader, of the world’s 1.2 billion Muslims. His decision to wear the silver accessory, thought to be a Rolex or Sekonda costing up to £4,000, as he asked followers to ‘obey’ him, was ridiculed by commentators. The costly timepiece was said to jar with his choice of black outfit, believed to be an attempt to mimic Islamic leaders from over 1,000 years ago. 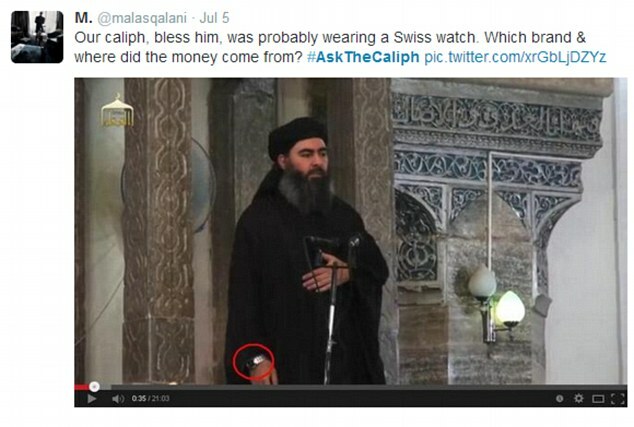 One Twitter user wrote said: ‘The funny thing about Caliph Baghdadi is that he has a very sophisticated watch and he still can tell which millennium it is. Others said that it was contradictory to the content of his speech in which he described his followers as equals. Described as the world’s most wanted man, militants operating under Baghdadi’s control have spread terror through Syria and Iraq in an attempt to form a new Islamic state in the Middle East. The Sunni fighters, responsible for the brutal slaughter of thousands, have vowed to expand the so-called caliphate to huge swathes of Europe and Africa. 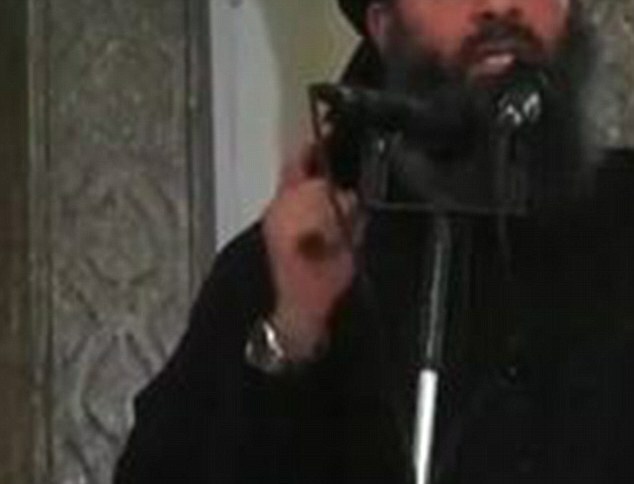 Video footage of Baghdadi, who has garnered the nickname ‘the invisible sheikh’ due to his elusive nature, emerged online on Friday and was quickly spread by jihadi websites. Fighters from the group – previously known as ISIS – were among those who joined a packed congregation at the Great Mosque in Mosul, Iraq’s second largest city, as he delivered the 21-minute speech. ‘I am not better than you or more virtuous than you,’ he added. He also used the sermon to praise his army of fighters, who have taken control of Mosul only one month before, and called for the strict interpretation of Islamic law. ‘God gave your mujahedeen brothers victory after long years of jihad and patience… so they declared the caliphate and placed the caliph in charge,’ he said. 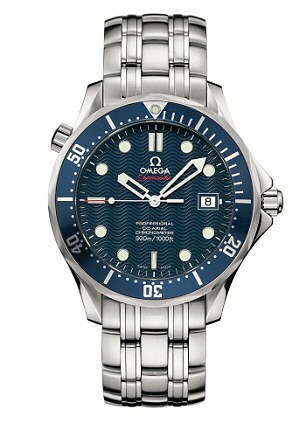 Analysis of the video suggests that the black-faced watch could be an Omega Seamaster, which can cost up to £4,000. Omega has been associated with James Bond movies since 1995. 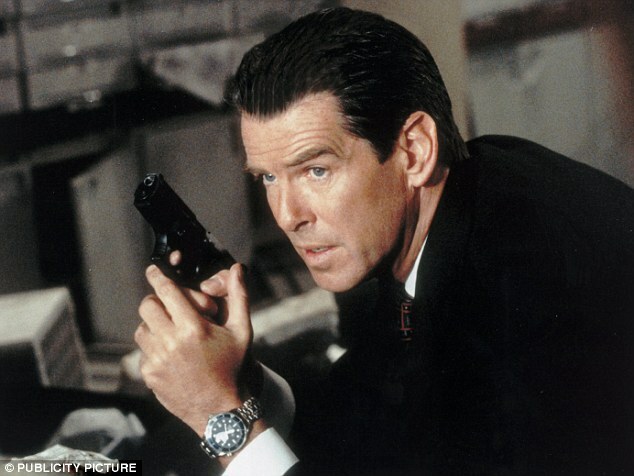 When Pierce Brosnan took over the role of James Bond he wore the Omega Seamaster Quartz Professional in the movie GoldenEye. In all later films, Brosnan wore an Omega Seamaster Professional Chronometer. 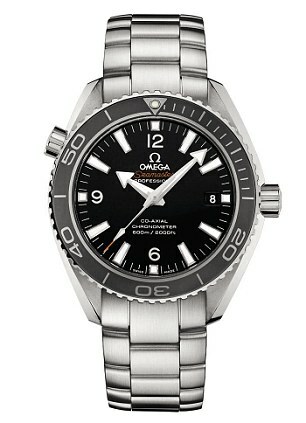 Daniel Craig, who starred in Casino Royale, Quantum of Solace and Skyfall, also wears the Omega Seamaster. 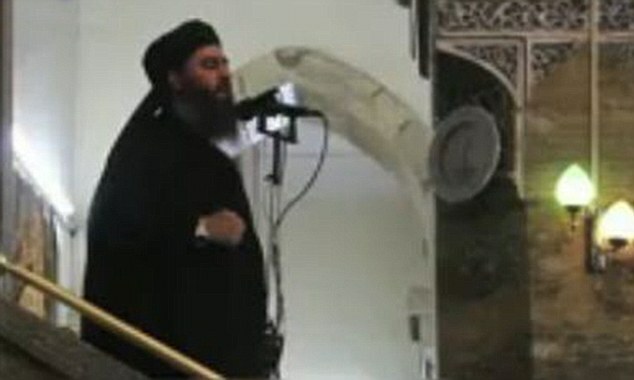 Only two images of Baghdadi – who was the leader of Al-Qaeda in Iraq – are thought to have existed before his appearance in the video. Reports have claimed that the terror chief even insists on talking to his deputies wearing a mask in an effort to protect his identity. 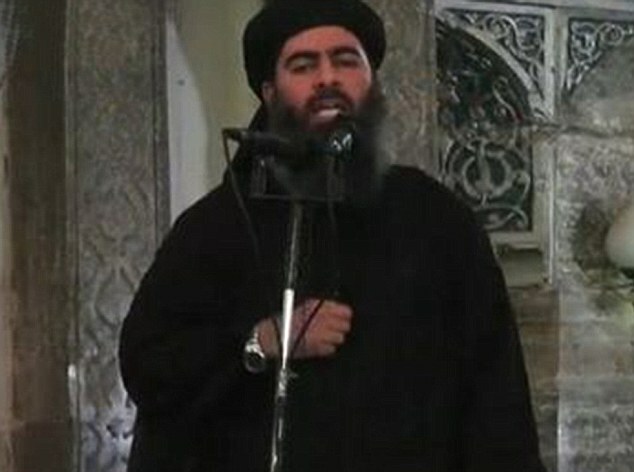 Iraqi officials last night said they were still working to authenticate the video but it is understood initial investigations have concluded the preacher is Baghdadi. The group is thought to be made up of 11,000 fighters in Iraq and Syria and 3,000 foreign jihadis, including 500 Britons. **A pilot became the first Iranian to die in the bloody conflict in the region (Sun) when he was killed defending Shi’ite Muslim holy sites from Islamic State fighters north of Baghdad.